MEDINA — Walking into Jim McDermott's back yard is stepping into another time and place. Make that several places -- all of them baseball parks. Neighbor Bob Verbiak noticed after moving to Medina more than 20 years ago. "We're out walking up Smith Road," he said, "and I look in the back yard and see this green wall" -- a wooden fence topped by a wire screen 20 feet high. "I said, 'My God, that looks like Fenway Park in Boston. The Green Monster and Fenway.' "
A 25-foot flagpole near one corner of the lawn reminded him of the center field pole in old Tiger Stadium in Detroit. Ivy climbing a trellis called to mind Wrigley Field in Chicago. Behind it, a hand-lettered sign for the family pet cemetery evoked Monument Park in Yankee Stadium. It only took a little imagination. McDermott named his creation Berg-Bobey Memorial Field at Sportsman's Park, to honor his sports-minded grandmothers. 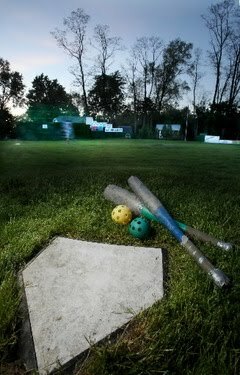 But the scores of friends and neighbors who play there on summer holidays call McDermott's yard the Wiffle ball capital of the world. They'll start arriving before noon today, bringing covered dishes and coolers, upholding a storied local tradition. "We've never had a rainout," McDermott, 61, said. "We play through the rain." A retired Medina County probation officer, he built the ball field after he and his wife, Pat, a music teacher, moved to the residential neighborhood in 1986 with their three young children. It wasn't strictly for the kids. McDermott, who grew up loving baseball in St. Colman's parish on Cleveland's West Side, built a similar field in 1973, when he lived in Brunswick. But kids kept the Medina yard jumping. "We used to play nightly when the kids were young," he said. "I kept, not all the stats, but I kept track of numbers. One year we played 122 games. Another year we played 118." The games moved to weekends and then became holiday-only invitationals as the kids grew up and out. Son David, 25, "probably the best player overall," will miss this year because he is serving with the Peace Corps in Cameroon, Africa. Son Ed, 27, is in Dallas. But daughter Beth, 23, the only woman who's homered in the park -- "and that boggles my mind, because we've had some athletes here" -- still lives in town. She'll join the crowd playing ball today until it's too dark to see. "I thought putting up lights was pushing the envelope too much," McDermott said -- much like the loudspeakers he sometimes displays "just for the look of it. I never hook them up." Vintage advertising enhances the old-time look. East End Market, Pepsi, Stop-N-Go, Pure Oil signs dot the fences. "I try to keep it tasteful. I've got other signs, but I don't want to overburden it, like Major League Baseball is now. You get sort of turned off by that. I used to have cigarette signs up, but I don't really like cigarettes. If I ever get a Chesterfield sign, though, it's going up. Or Pall Mall. "I used to put corn in left center, for the 'Field of Dreams,' but it kept getting in the way. It never grew high, but it affected the play." That wouldn't do. The play's the thing, Shakespeare's Hamlet said, and play is the thing for McDermott and his park. "We usually have a huge crowd on Memorial Day, and you've got to control that," he said. "You don't want too many people on the field. If you get too many, you can't score, you can't get a hit, or people collide. You want no more than six, and the pitcher makes seven. "We keep track of the games. Our record is 18 in one day, five-inning games. They go quick. The pitcher controls it. His job is to umpire and let the batter hit the ball. There's no fast pitch, it's just underhand, and if you're under 13, you can't strike out. Any age can play. If they can walk, they can play." 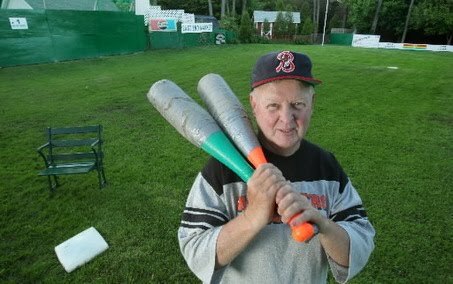 Older guys get only two ups per game to swing the fattest Wiffle bats at the plastic ball. 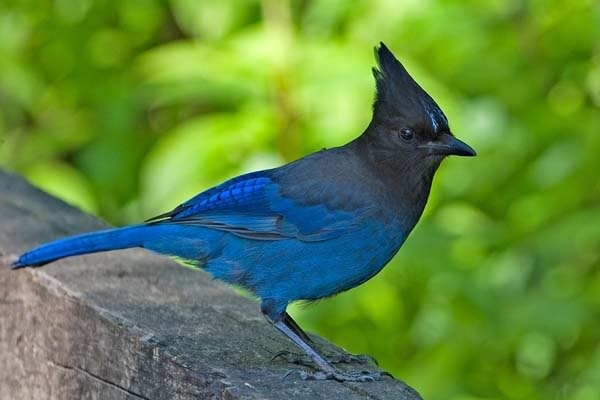 They use broomstick-thin bats the rest of the time. Kids can swing the big bats anytime. It's 30 feet, 6 inches from the mound to home plate, and 45 feet between bases. Deep center measures 121 feet. The inviting right field corner is 102 feet away, and the Green Monster in left beckons hitters from 92 feet. "The key position is center," McDermott said. "He has to cover second base, he's got the flagpole and the deep corner, and he's got a lot of decisions to make." "We let the younger people play where they want and then fill in," Verbiak said. "But playing that left field wall is definitely a thrill."